Everyone experiences stress. Some stress is good for us, as it will compel us to get more projects done at work or home. But in times such as these, stress is at an all time high and our bodies and minds don’t respond quite the same. 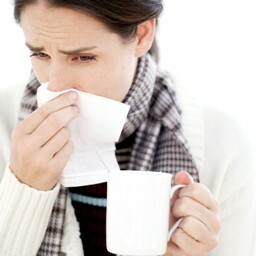 Some of us experience out of control appetite, headaches, nausea, depression/burnout and a depressed immune system resulting in a big bad cold. Why do I get sick every time I get stressed out? Recent studies have found that people under stress had a 16% greater risk of getting a viral infection and a 20% increased risk for the common cold than those not under stress. When stressed, our body increases its production of stress chemicals to help us fight off the stress. This is the typical “fight or flight response.” Under stress your body is designed to run away from a saber tooth tiger or whatever is attacking you. Since you can’t run away from your boss or from traffic, your body has these chemicals circulating in your body and they have nowhere to go. So, they depress your immune system making your body an easy target for the next germs coming your way. Being under stress kills my energy. High levels of stress can wreck havoc with your blood flow leaving your energy center (brain) undernourished. Try applying a cold compress to the back of your neck for about ten minutes. This will help to increase energy flow to the brain and also has been shown to increase the effect of the feel good hormone serotonin, which will help to calm you down. I have an out of control appetite! When stressed, your body tries to calm itself down by craving and eating more carbohydrates. Foods such as breads, cereals and pastries create a substance in our brain called serotonin; some call it nature’s Prozac! But just remember a little bit of carbohydrate can go a long way. So instead of eating two cups of cereal or the whole bagel, cut these servings in half and your brain will still get the same effect without having to worry about your waistline. My heartburn is driving me crazy! Stress causes stomach acid to be produced at high levels. Stress also decreases the production of digestive enzymes. The combination of this makes your body more prone to heartburn, reflux and ulcers. Take a look at the life of a stressed out air traffic controller; those controllers working at high stress airports (Chicago, New York) had almost two times the incidence of GI upset than those controllers working in less stressful airports (Virginia, Ohio). Try including more pineapple in your diet during stressful times. Pineapple contains bromelain, which can act as a stomach enzyme and help to ease the problems of digestion. My pleasre. Please check back for more info delivered to you daily!